Welcome to the weekly Five Minute Friday link-up! We gather here each week to free write on a single word prompt. One of my favorite parts is seeing the diversity that comes out of one word. I personally think it’s an awesome testimony to the creativity of our God. If you’re new to FMF, you can learn more about how the link up works on our Link-Up Page. Got five minutes? 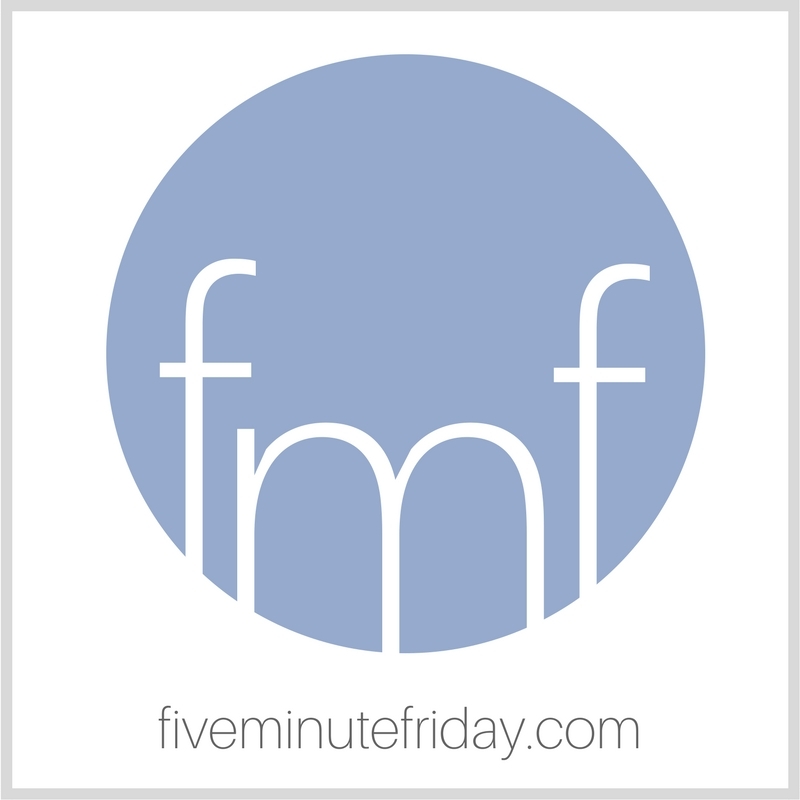 Join @5minutefriday with a free #writing exercise on the prompt, STEADY. Sometimes I get whiplash from the violent jerk and pull of emotions in a short span of time. A couple of weeks ago, I wrote on my calendar that this week I’d use the prompt, PARTY. I saw a number of reasons to celebrate scrawled in consecutive boxes: baby shower, graduation open house, church mortgage burning party. I looked forward celebrating God’s faithfulness in each unique circumstance, His continuous love and care for His children. Then, as the days grew closer to party weekend, unexpected news dropped like a leaky faucet. A colleague’s wife, about my age, has Stage IV cancer. She has five kids, and the vicious disease is shooting pain through her brain. Walking through the store tonight, a text message: Another friend lost a baby in the womb. Not her first miscarriage. A scroll through Facebook: An 11-year-old boy with blue eyes and a bright smile suddenly went unconscious. Bleeding on the brain. Six days later, he met His maker in glory, leaving parents and siblings behind. How can we even cope with all of the tragedy and heartache? And yet, there is rejoicing. We celebrate, and we mourn. We laugh and we grieve. We hope and we wonder. What comes to mind when you think of the word, STEADY? Post your free write on your own blog and add the link below, or share your thoughts in the comments. And don’t forget to leave some encouraging words on the blog of the person who links up before you! I’m so thankful that He is always there for us no matter what. Kate, thank you for this post. It kind of puts things into perspective. Balancing between the joys and the tragedies of life can leave me spinning . . . and drained. And yet, God is still God in both kinds of circumstances. I guess that’s the important thing to remember. Because He is God, He is steady. Kate, I’m so sorry about your roller coaster week. I can relate to this so much and glad the writing prompt changed. This is so hard. You are right, though. Our amazing God is steady. Wrapping those in prayer those who are hurting. Sending love to you too. I will be thinking of and praying for everyone you mentioned, Kate. Parties sometimes have to take a back burner. Hugs. Kate, please know that you are in our prayers. Wow. Amen! Through all the ups and downs, zig zags, and surprise, God is always steady. Thank you sooo much for this perfect reminder! Truly grateful we can rely on Him. He is the source of our steady. Thankful our God is steady. I’m sorry the stuff of life has rained on your desire to have a party. Steady is our God. Steadfast and True! Oh yes… we are called to weep with those who weep and rejoice with those who rejoice and it’s amazing how often we are called to do both of those things in a short time span! So thankful that it is HIS Love that pours through us at all times –the good and the hard! Blessings, my friend! “There’s a grief that can’t be spoken. I don’t know how people manage life without Jesus. I really don’t. Peace and happiness apart from Him are so temporary, so illusory. So many big things but yet met with one big reminder–“He is steady.” There is sureness and security in that when nothing else feels sure. Unfortunately/fortunately, it is walking alongside friends and loved ones in the midst of their tragedies that continually teaches us how to depend on His steadiness. It hurts, but He softens the blow somehow and gives what is needed to walk each step as painful as it is. Have seen Him do this over and over again w/my sister’s brain tumors and resulting deafness. If it weren’t for her experience, I don’t know if I’d know just how true “He is steady” really is. Thank you for the reflections. You know, just when I think I can’t do it one more second I remember that He is steady. He is reliable. He is there, always. It’s a shame I have to get to that point before I remember that fact. I’m so sorry for all of the loss that surrounds you, Kate. I’m praying that you feel God’s steady hand in your life today as you reach out and comfort those in need.